An ad agency has taken the fall for a guerrilla marketing stunt that had the city of San Francisco threatening Facebook-games maker Zynga with vandalism and other charges. The agency will pay the city $45,000 in fines. 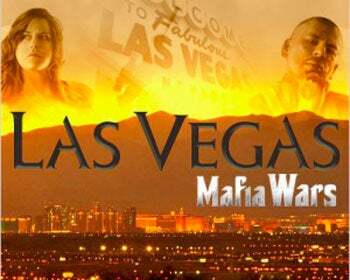 Farmville Makers Attacked Over Real-World "Vandalism"
In August, San Francisco officials were steaming mad over the fake $25,000 bills glued to city sidewalks as part of a marketing stunt to promote Mafia Wars: Las Vegas, Zynga's latest iteration of the social game. Just when the city put the games maker in its crosshairs, though, agency Davis Elen Advertising took all responsibility for the antics, letting Zynga off the hook. San Francisco's city attorney announced today that Davis Elen would pay $45,000 in fines for illegal marketing tactics. In a statement, the city attorney, Dennis Herrera, actually thanked Zynga (based in San Francisco) for "its good corporate citizenship in working with us to identify the culprits." Yeah, must have been real hard to figure out who did it.